Monitor Audio Bronze BX5 review | What Hi-Fi? Once or twice in the past year we’ve been tempted to put the BX5s’ pre-eminence down to a glaring lack of opposition, but now we’ve been able to gather five price-comparable rivals around them, and the Monitor Audios can impress regardless of numerous rivals. The first impression is one of neatness, reinforced by the speakers’ modest stature. Grilles are attached magnetically; there are no unsightly holes to distract you from the lovely driver arrangement. At the front you’ll find a 25mm tweeter peeking out from behind a smart metal grille. Beneath this are two 14cm drivers and a front-firing reflex port. Don’t assume this port to be a sign of positional flexibility, though – there’s another one at the back, above some chunky, biwirable speaker terminals. The BX5s are fairly tolerant of walls, but they’re much happier in free space. Right at the bottom is a plinth that needs to be attached, along with some spiked feet. This is easy enough to do, so you’ll be plugged in and ready to go in minutes. We’d recommend spending a few extra pounds to biwire the BX5s for a touch of extra power and clarity. Happily, the BX5s sound just as accomplished as they look. No matter what you throw at them – and throw it we did, from Holst's The Planets, to Bon Jovi via Daft Punk – they scarcely offer an opportunity for criticism. Low-frequency extension is considerable, midrange communication is torrential and the top of the frequency range is crisply textured.The soundstage is realistic and the presentation has a lively, open feel. There’s a good sense of rhythm here, too. The BX5s stay surefooted with even the most provocative pieces. That’s hard not to admire. Tonality is neutral throughout, detail levels are sky-high and driver integration is achieved seamlessly. Timing is similarly effortless, and even under severe provocation the BX5s remain balanced, controlled and full of insight. 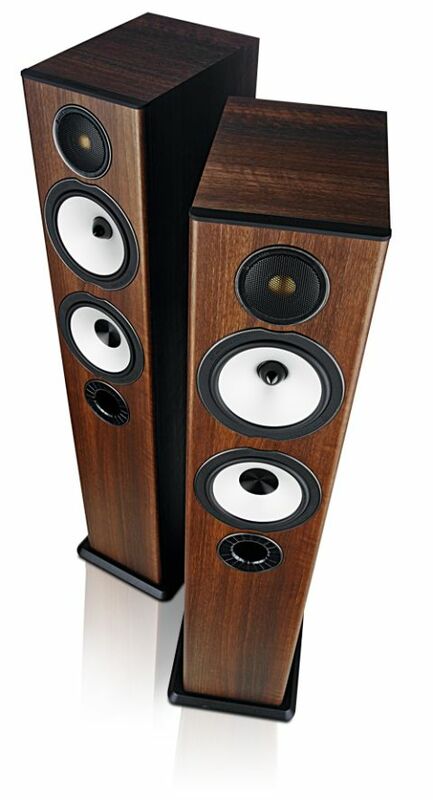 They have a rather analytical approach, however, and there’s almost too much emphasis on polish; refinement is prioritised over excitement, which can make these speakers seem a little aloof. Other floorstanders we've tested recently, by contrast, sound bigger, punching harder and reaching further in terms of dynamics. If a well-mannered sound matters most to you, however, these certainly deliver. After almost three years, the Monitor Audio Bronze BX5s finally lose their fifth star. They’ve done well to hold on to it for so long, and we still really like the refined looks and sound, but there are now strong rivals that cost the same (or less) and offer a higher level of engagement. These are very talented speakers, but perhaps ones that are easier to admire than to love.